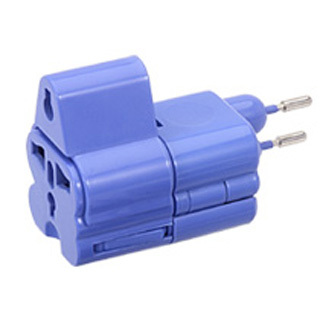 The only travel power adapter you need to connect your notebook and other mobile electronics to power outlets throughout the world. WorldPlug - The ideal travel companion without the right power plug travel adapters, your notebook computer is just another piece of luggage. The WORLDPLUG keeps you connected in over 147 countries throughout the world. Its patented design is easy-to-use and easy-to-store.